Summer is all about dressing up and having as much fun as possible along the way. We're talking prints, colors, and textures galore. I don't know about you, but I personally tend to over-shop throughout the entire summer. A sundress here, a bikini there—you get the picture. In an effort to not spend my entire life's worth on this seasonal wardrobe, I head to Zara, which typically always hits the nail on the head when it comes to the summer trends I should know about, and this year is no different. After a careful assessment of the products currently stocked at the retailer, it was clear that the 10 trends ahead are the ones Zara officially wants you to know about this summer. To give you a little preview, the styles it's pushing are incredibly lively, which is exactly what we've been looking for in a summer wardrobe. Check out the insanely stylish summer fashion trends found at one of our favorite affordable retailers of all time ahead. Taste the rainbow? 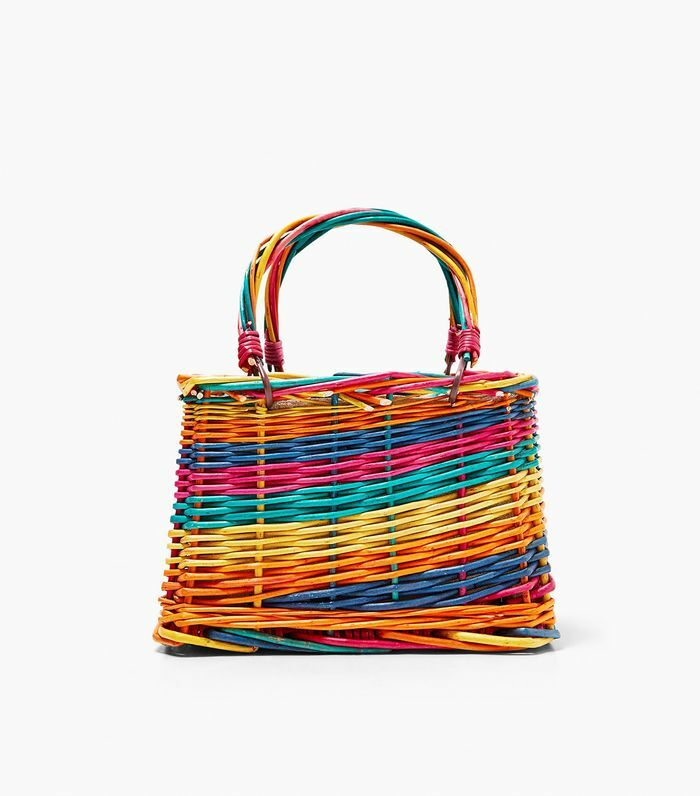 Nah—this summer we'd rather carry it in the form of multicolored baskets, netted carryalls, and crochet totes. Make it a dress, make it a sweater, make it a swimsuit—we don't care. So long as crochet is gracing the presence of your summer wardrobe, you're in the clear. Let's get one thing straight—life in plastic is fantastic. While most people are just hopping on the plastic handbag trend, Zara's made it crystal-clear that plastic footwear is the way to go. Between the earthy textures, the tactile fabrics, and the easy silhouettes, a "down to earth" wardrobe is one this retailer is not only encouraging us to try, but it is quickly convincing us before our eyes. Swimsuits for summer? Nothing new there, but thanks to Zara, we're embracing the idea of accessorizing our bathing suits to death via chunky jewelry, printed wraps, and more. The ideal summer outfit? One you don't have to think twice about throwing together. Thanks to the plethora of matching sets at Zara this season, our outfit stress is completely gone. Earlobes dripping in crafty danglers is the summer trend your face is in dire need of. Spruce up any outfit from your bikini to jeans and a tee with this lively accessories trend. Contrasting prints has never been more popular, especially thanks to Zara's kitschy takes on the notion. From gondola-printed shirts with checked pants to complimentary yet different striped get-ups, there's a lot of print mixing going on this summer and we're here for it. Get your head in the game this summer by way of flat-brimmed straw hats, bold headbands, and crochet bucket hats. Truly, no outfit is complete without one of these striking toppers. If a classic summer dress is what you're looking for, try one daintily inspired by the prairie. Delicate buttons, eyelets, and paisley are all we can think about when it comes to foolproof summer dressing. More Zara is coming your way since you know we're huge fans over here, so before you go, check out the Zara shoes we're losing it over.